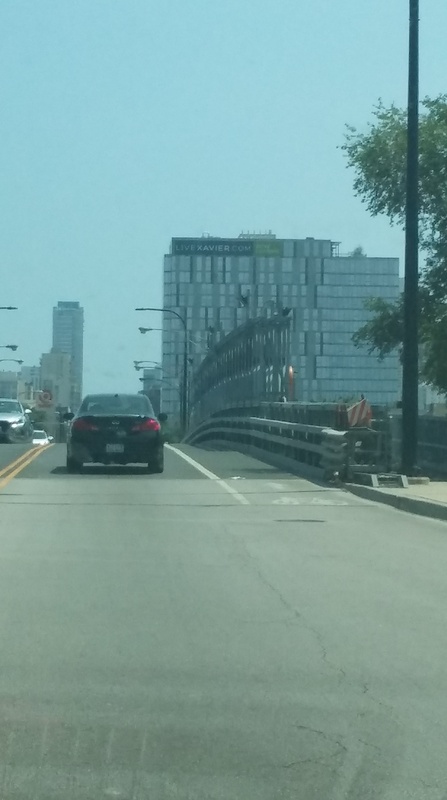 In 2014, city of Chicago made the decision to a bascule type bridge due to its deterioration. A contract was made with the Acrow Corporation to replace the bridge. This company worked with the city of Chicago and the general contractor F.H. Paschen to remove and replace the bridge within a 90 day period. The replacement bridge deck is epoxy aggregrate. 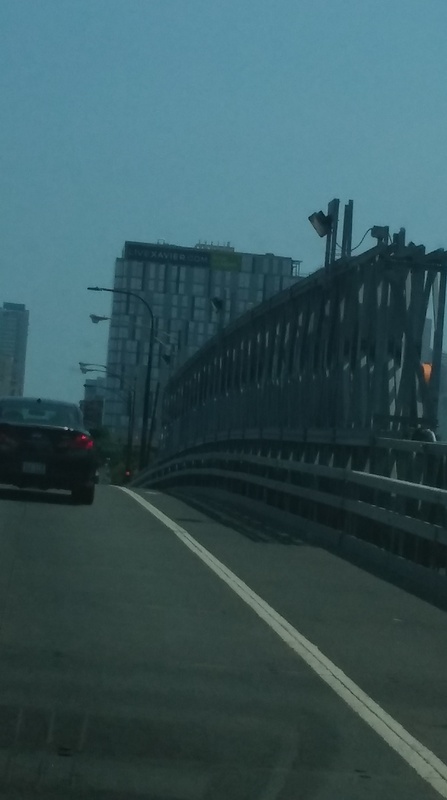 Bridge has bilateral cantilevered sidewalks. There are panel chords, diagonal and verticals. Decking , raker brace, transom, top chord, brace, sway brace, transom brace, diagonal chord brace. The largest span is 261 feet. Deck width is 36 feet. 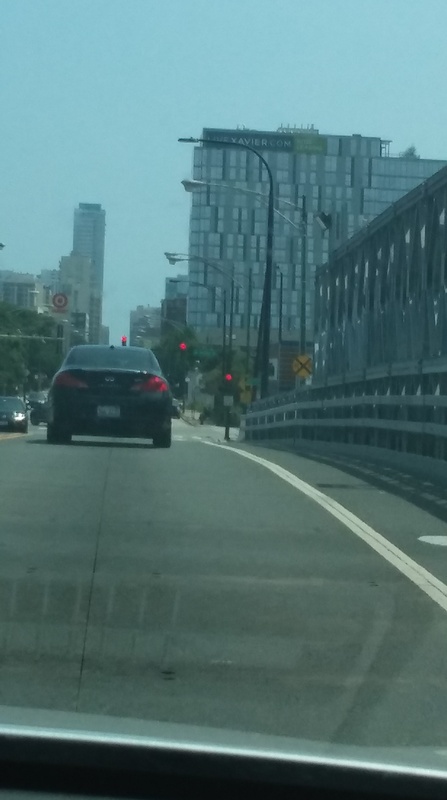 It has two lanes for auto traffic and two bicycle lanes. When installed, the bridge was to be a temporary structure for 4 to 5 years. It still remains in place in 2017. The second bridge at this site opened on February 1, 1903. It was a metal rivet-connected Pratt through Truss, movable double leaf bascule (fixed trunnion) and approach spans: metal stringer (multi beam), fixed. The main span length was 173 feet. Structure Length was 260 feet. There was one main span and four approach spans. It was First rehabbed in the 1930’s. It was also overhauled in 1969 and in 1980. It was converted to a fixed span in the 1990’s. The first east Division Street Bridge opened in 1870. It was the first of the North Branch Canal. It was a hand operated wood and iron swing bridge. It was 176 feet long and 29 feet wide. The bridge was removed In 1900.